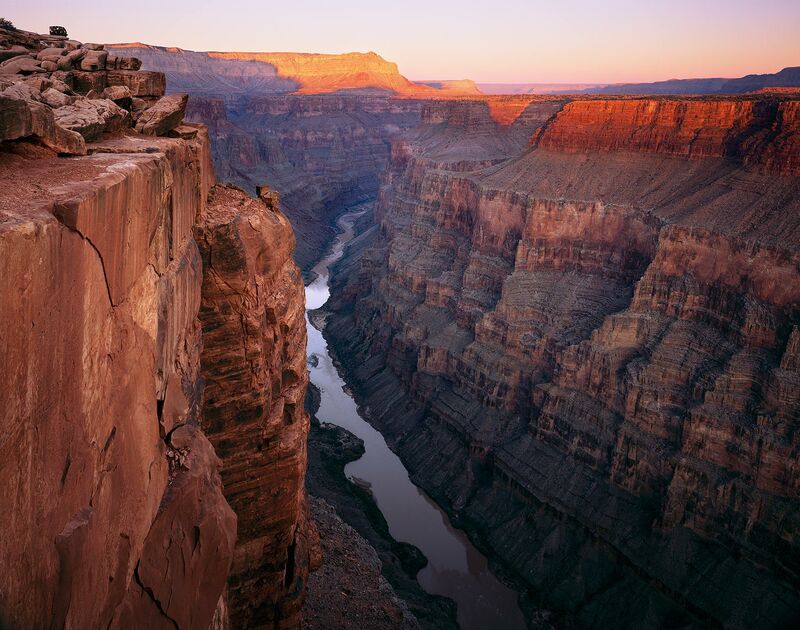 The Colorado River cuts an arc through the Grand Canyon as the last red rays of sunset illuminate the cliffs. As I climbed down on an exfoliating piece of sandstone with over 1,000 feet of exposure for this shot, a thunder rumbled through the canyon. I turned to see a bus-sized rock break loose from the opposite cliff and tumble into the canyon, striking a few hundred feet above the river in an explosion of dust and debris- a reminder that the forces of erosion this river began long ago are still at work.